You Need A High Interest Savings Account -- Here's Why. 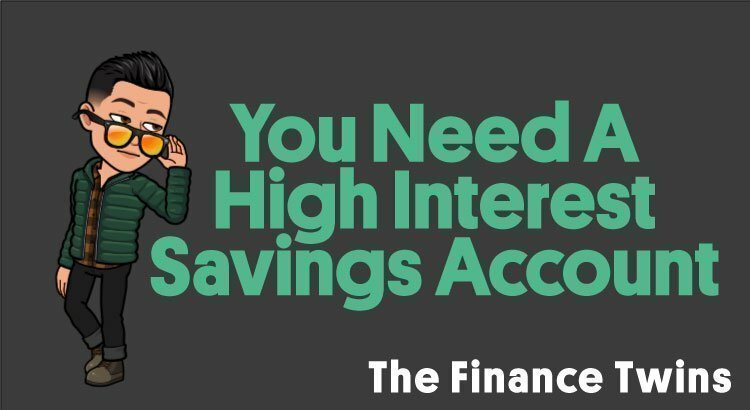 You need a high interest savings account. Yes, all of you. Let us explain why. Picture yourself on a sweltering summer day in a bustling city like New York. It’s late August and the concrete has absorbed sunlight all day and it’s radiating back at you. It feels like you’re walking on a mirror. If the sunlight wasn’t punishing enough, the humidity is almost unbearable. Add in the throngs of people and the exhaust from the cars, and you’re sure it’s hotter than a sauna. Beads of sweat drip down your brow, and you are kicking yourself for not wearing a hat or bringing a water bottle with you. You’re so thirsty and devoid of liquids that your throat hurts and you feel weak. You blink and for a second you think you must be in a tropical jungle. And that’s when you realize you left your wallet at home so you can’t buy any water. The feeling of being light-headed isn’t going anywhere. But suddenly, as if the God’s want to put an end to your suffering, a stranger emerges. It’s a little old lady who sees you struggling and offers you a free bottle of ice-cold water. ICE-COLD. But you walk right past her. Like a seasoned New Yorker, you merely glance over, assuming it’s too good to be true. This isn’t your first rodeo. You assume there’s a catch. Some sort of scam. But there wasn’t. She was just trying to save you. Dehydrated and exhausted, you barely make it home and have a terrible headache. Later in the day you tell your friends about how hot it was and complain that you weren’t able to buy water because you left your wallet at home. Completely ignoring the fact, or irony, that you walked away from someone trying to give you an ice-cold bottle of water. Someone trying to help you. Is that something you would do? Walk away from exactly what you need in a moment of need? If you don’t have a high interest savings account, that’s exactly what you are doing. Yup, you’re doing it this second. Leaving the free water on the sidewalk while you struggle on the hottest day of the year. Except the heat is your student debt, monthly rent payment, credit debt, car payment, or your other bills. And the water is ‘free’ money from a high interest savings account. Money we know you could use to make your life easier. 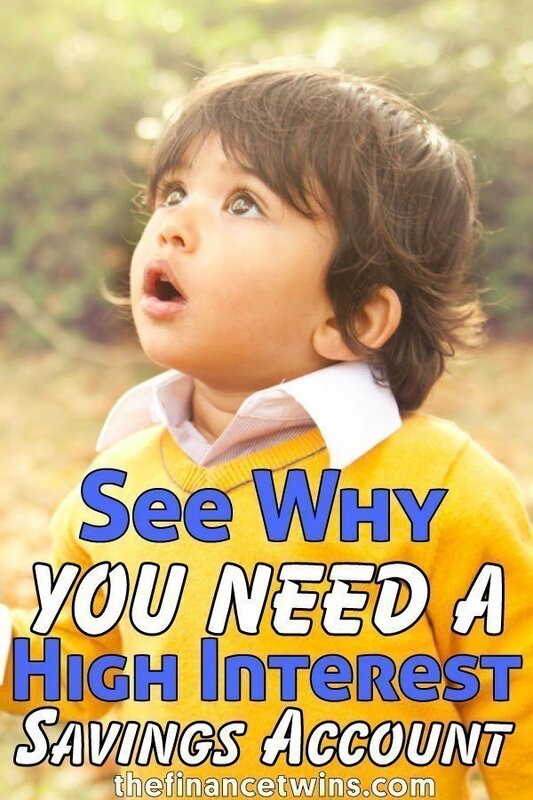 What Is Considered High Interest? How Do You Open A High Interest Savings Account? Which Banks Offer High Interest Savings Accounts? Are High Interest Savings Accounts More Risky Than Traditional Low Interest Savings Accounts? When Is The Right Time To Open A High Yield Savings Account? How Much More Interest Could I Get From A High Yield Savings Account Compared To A Normal Savings Account? What Are The Pros Of High Interest Savings Accounts? What Are The Cons Of High Interest Savings Accounts? These High Interest Savings Accounts Sound Amazing, Why Can’t I Just Keep All Of My Money In One? What Can High Interest Savings Accounts Be Used For? Have A Question About High Interest Savings Accounts? Ask below! A high interest savings account is a savings account that offers a high interest rate. It’s that simple. High interest savings accounts are typically offered by online-only banks. These online-only banks use the money they save from not having to have physical local branches to offer interest rates that may be as high as 200+ times greater than what a typical traditional bank is able to offer. The mega-banks like Chase, Bank of America, Citi offer savings accounts that start with interest rates ranging from 0.01% APY to 0.04% APY. (APY stands for Annual Percentage Yield and is the effective annual rate of return. You can just think about it as your annual interest rate). These numbers are extremely low. In fact, if you’ve read our article on how to pick investments, you’ll remember that index funds with fees in the 0.04% range are solid choices for their low fees. However, when it comes to earning interest, you want to find an account with the highest number possible. To put 0.01% interest into context for you, let’s assume for a second that you’ve built an amazing budget and have been saving and investing for retirement like a champ. In fact, you’ve been able to save up $1,000,000.00! You’re a millionaire. So how much interest would that $1 million earn if you put it into a savings account that only earned 0.01%? $100 per year. A HUNDRED bucks! That’s it. That’s about $8.33 per month in return for letting them hold you million dollars. You don’t need to be a rocket scientist to know that’s pathetic. In comparison, the leading high interest savings accounts are earning at least 1%, but the best rates are closer to 2.2% APY. If you think 2.2% still sounds low, just remember that it’s 220 TIMES larger than 0.01%. In other words, for every $1 you’d earn with a rate of 0.01% APY, you’d earn $220 with a rate of 2.2%! And this ignores the effect of compounding which means the difference would only grow over time, since you’d be earning interest on the money that you made off of previous interest. Opening a high interest savings account is very similar to opening any other kind of savings account, except the process typically has to be completed entirely online. You’ll want to fund your account by making a transfer from an existing checking or savings account. Some banks will have a required minimum balance, while others won’t. The ones we list below have no minimum balance requirement. This list includes some of our favorites. No! One beautiful thing about the banks offering high interest savings accounts is that they still play by the rules and regulations of the traditional retail banks. This means that their accounts are FDIC insured up to $250,000 per depositor. We have both personally had high interest savings accounts for that past decade and the safety or security of our accounts has never been an issue. Not even at the height of the financial crisis. But seriously, now is the right time. If you are thinking about it and don’t have a high interest savings account then you are leaving money on the table. Unless you’re the kind of person that enjoys feeling parched on a scorching summer day and would walk away from free ice-cold water. Some of you might be worried that you don’t have very much money, but the awesome news is that several of the banks that offer the highest interest rates have no minimum balances. Let’s face it, this is the reason that you’re even considering opening a high interest savings account. And when money talks, we listen. So how much money in interest have you been missing out on if you have a savings account or checking account that earns virtually nothing? Let’s explore an example. Ignoring interest, they’ll have $500 saved at the end of month 2, and so on, until they have saved $15,000 by the end of the 5th year. This doesn’t include interest. The only difference between them is that one of them has a high interest savings account while the other just has a normal low interest savings account. 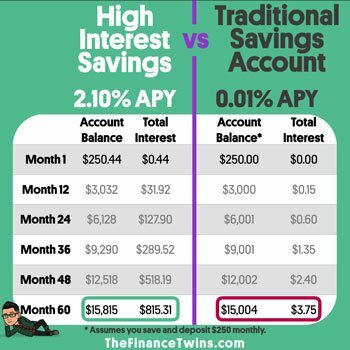 Assume the high interest savings account earns 2.1% APY compared to 0.01% APY with the traditional low interest savings account. How much more does the person with the high interest savings account have after 5 years? Let’s see. As you can see in the example above, the person with the high interest savings account was able to save an extra $811.56. Not too bad for doing absolutely nothing for it besides switching bank accounts. As attractive as it may seem, there’s a reason why you can’t use high yield savings accounts as your primary bank account. The reason is that there is a federal law that limits the number of monthly withdrawals that you can make to 6. So if you have 6 bills to pay on a monthly basis, or need to transfer money out more than 6 times a month you could run into issues. Some banks will penalize you with fees if you exceed the 6 monthly withdrawals and may also convert your account to a checking account. Other banks have their own limits, so you’ll want to check first if you plan to use your account pretty actively. “So if I am limited in the number of withdrawals that I can make on a monthly basis, how should this account be used?” This is a good question that we get all the time. The perfect use for a high interest savings account is to save money. Did you read our article about emergency funds? Do you have an emergency fund? These savings accounts can be the perfect place to store money for a rainy day. If you don’t have an emergency fund, make sure you go learn about that after reading this article. In fact, having money set aside for an emergency is even more important than opening a high interest savings account. Ideally you’ll want to have at least 3 to 6 months of living expenses saved for emergencies. As you can see, switching to a high interest savings account is a no-brainer. Not sure if your relationship with money is broken? Not having a high interest savings account may indicate that it is. No, it won’t solve all of life’s problems. But it’s better than walking right past a free bottle of ice-cold water on a hot summer day. Looking for other ways to save or make money? Consider refinancing your student loans to lower your monthly payment and interest rate.